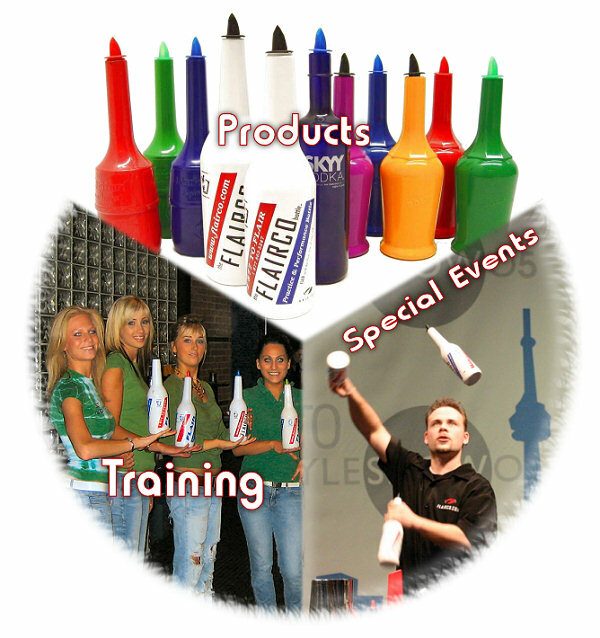 At Flairco we invented the Flair Bottle and are world leaders in the Flair Bartending industry. We are proud to present our line of products and services including; Flair Bottles, Flair Bartending DVDs, Bar Supply Products, Portable Folding Bar, Bartender Training, and Special Event Services. Flairco is dedicated to creating the highest quality and the most practical products and services available. This commitment is highlighted by the Flairco Lifetime Value Guarantee we provide on all of our Flair Bottles. We invite you to visit the Flairco Bar Store and see how our products can help you either get started or improve your Flair Bartending skills.